Does Shakeology Work Without Exercise? Find Out The TRUTH! Recently we’ve had several people ask the same question, “does Shakeology work without exercise?”. So we’ve decided to make a post answering this question. There is not really a yes or now answer to this question. Like most things in life, the answer it not black or white and falls somewhere in between in a grey area. To answer the question, does Shakeology work without exercise? The answer is yes, there are health benefits to drinking Shakeology whether you exercise or not. But if you’re trying to change and see results, you’ll want to add an exercise routine to your weekly schedule. With that being said, if you’re someone that refuses to workout or exercise, no matter what, there still might be help for you. The truth is that eating healthy and getting your body the proper nutrition is actually more important that exercising. Results come from 60% nutrition, and 40% exercise. 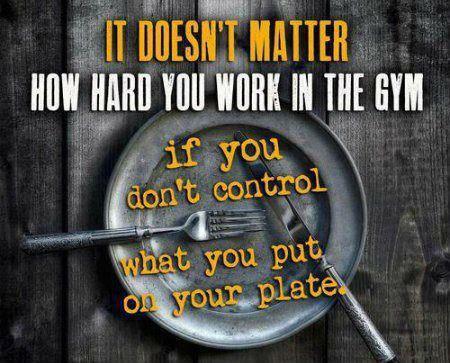 The point is, what you eat is very important. So yes, Shakeology is beneficial regardless if you exercise or not. Shakeology can be used in several ways depending on what your current health/fitness level is and what your goals are. For example, if you are overweight, you can use Shakeology as a meal replacement shake. If you are in OK shape, have a little weight to lose, or none at all (or maybe if you’re trying to bulk up and build muscle) you could use Shakeology as a healthy snack. It all depends. If you’re doing a Beachbody program, the recommendation is to follow the appropriate meal plan that comes with whatever workout you are doing, and fit in Shakeology accordingly. For example, if you’re doing the 21 Day Fix, Shakeology would be considered 1 red container. Try Out Any Beachbody Workout For FREE – CLICK HERE! Here’s the main tip and how Shakeology will work without exercise. Use Shakeology as a replacement, not an addition to your daily food intake. You should replace something you are eating everyday that is not the best choice, with Shakeology. The point is, replace something unhealthy with Shakeology EVERY day. Basically what they are saying in the video above is that eating the right foods and getting the proper nutrition is super important, and Shakeology is an easy way to do that. It’s important to understand that all calories are not created equal. For example, a can of Coke and a sweet potato are approximately the same amount of calories, but the sweet potato is by far the better choice. Furthermore, consuming something WITH (or more) calories can be better than consuming something that has zero (or less) calories. For example, a can of Diet Coke has zero calories, and Shakeology has 160 calories. It’s not a good decision to choose the Diet Coke over Shakeology just because it has zero calories. The much better decision would be to choose Shakeology because it is filled healthy ingredients that are good for you. SEE ALSO: Shakeology Ingredients – What The Hell Is In This Stuff? Shakeology is an amazing product that offers great health benefits. However, if you want to stack the deck in your favor, it’s smart to also exercise, and eat the proper foods. Shakeology is a great product, but it’s not a magic potion. Give it a try and see how it makes you feel!